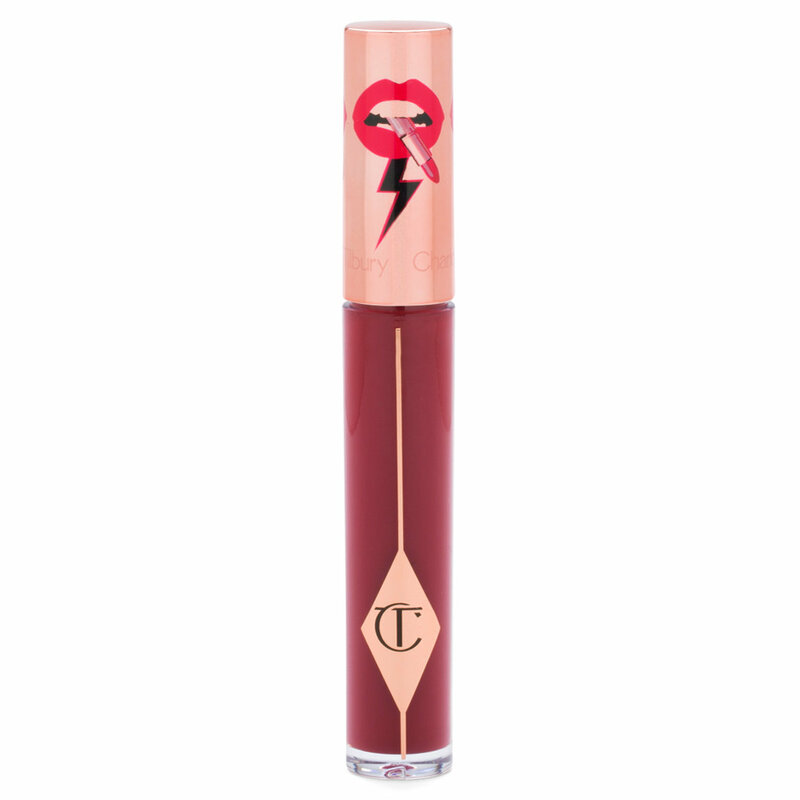 Meet Charlotte Tilbury’s “naughtiest lip yet.” Featuring nourishing, floral-scented mimosa oil, Latex Love is an ultra-lustrous lip gloss that hugs your lips, coats them in flawless, seamless color, and may even help you get in touch with your rebellious side. Use the doe foot applicator to apply gloss to your lips. Try applying slightly more color to the center of your lips for a fuller look. I can't get enough of this formula!! It is what I call a lipstick/lipgloss hybrid and it is SO shiny. It's worth giving a try because they're truly not a formula like this that's currently on the market. If you're looking for long-wear, you're not going to find it with this product. You're also not going to get rid of lip gloss hair as I like to call it. But you are going to have some bangin' lips that just don't stop. I do hope Charlotte comes out with more shades of this product because Dirty Dancer is the only shade that I like out of the collection. The formula is very lightweight and doesn't feel like a whole bunch of what not sitting on my lips. Nope. It feels light when I apply and even when I touch-up. Most importantly to me, as this wears off throughout the day, it leaves this gorgeous stain on the lips and it's almost like it goes from lipgloss/lipstick hybrid to full blown lipstick. It's awesome. The shade Dirty Dancer gives me that "my lips but better" look and I love it. Pretty great, just hope more shades come out eventually.